I’m not going to sell you the AFL model today. You all know how amazing it has been for me. This is clearly the best model on the Internet today and has been for the past 16 years. That’s right, Jonno has been advising bets on AFL for 16 years. In those 16 years there have only been two losing season. 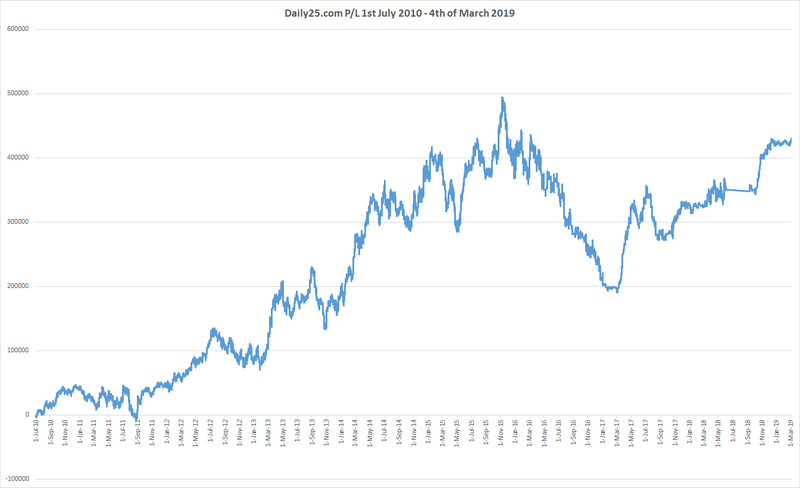 If you want to read a long salesy post about how good the models are and what you get by joining the Dailyprofit service, you can read last months post about the NRL starting. There are a number of services offering season long packages for the AFL and these range in price between $200 – $2,500. 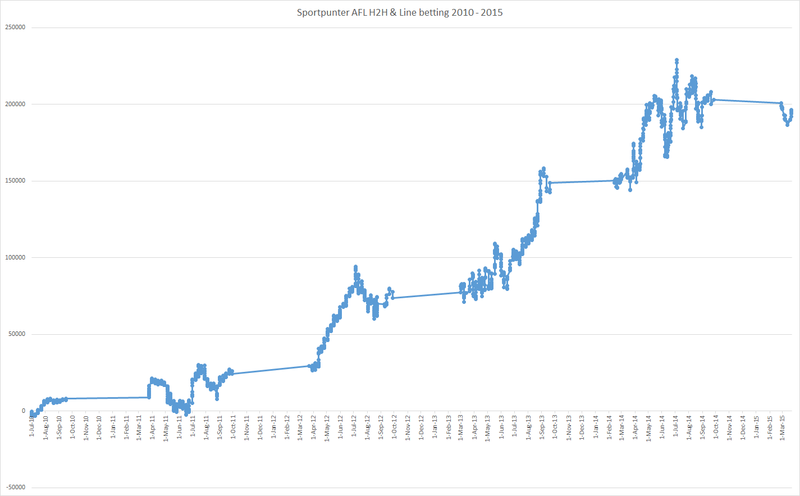 The Sportpunter season cost is $2497 USD and if you can afford that it is worth every penny. 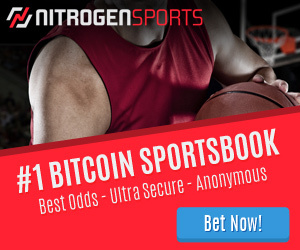 Dailyprofit is Sportpunter lite, members get the same bets but after the big bettors have had their fill. The Dailyprofit monthly cost is $49 Australian Dollars. So if you only decided to follow the AFL, a season pass would be $294. But you don’t just get AFL, you also get the NRL, Super15, NHL, NBA, NFL and starting next month the MLB. There is no better value service anywhere on the internet, and prices will once again be going up (by about 50%) in the next few months. This season Pinnacle Sportsbook has raised the AFL limits which means it will be even easier to get bets on, especially for non Australians. Below is my graph from following the AFL model over the past 4 and a half seasons. I started with fairly conservative stakes in my first 2 seasons, and have continued to increase my banks each year. The straight lines represent the off-season, but you will notice that the models perform better at the start of the season, so the best time to join is now. Head over to the Dailyprofit website and sign up today. First game starts Thursday.